Photo by Kārlis Dambrāns used under (CC BY 2.0). 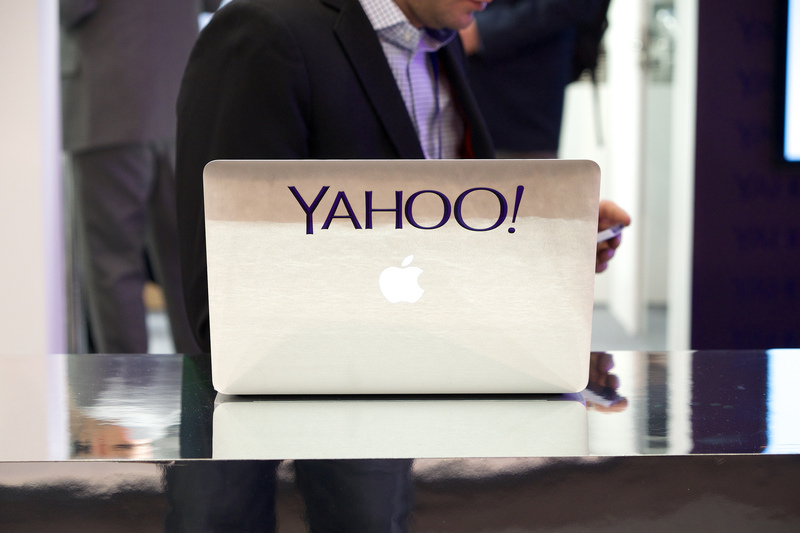 Yahoo’s planned sale to Verizon appears to be moving forward, reports TechCrunch. With the sale underway, Yahoo’s remaining assets, Alibaba and Yahoo Japan, will now be known as Altaba, as disclosed in the company’s latest filing with the Securities and Exchange Commission. Marissa Mayer will not be continuing on as CEO of Altaba, nor will she remain a part of the Yahoo board. Her position with Yahoo after the potential sale to Verizon is unknown. Branded podcasts are expected to double in 2017, and with good reason. Publishers of theses shows are cashing in on ad dollars from advertisers, both new and old, who are drawn in by the medium’s unusual intimacy, reports Digiday. Brand partnerships can cost advertisers something as high as the mid-six figures, with established publishers like Gimlet, Panoply, Midroll, and Gannett receiving the bulk of this ad spending. Brands wanting to reach consumers directly and creatively — and that can afford the high costs — will lead the pack as this trend picks up more steam. Meryl Streep’s unexpected plug for the Committee to Protect Journalists initiated a spark in donations for the organization, whose mission is to promote the right of journalists to report the news. Poynter reports that CPJ received donations totaling more than $80,000 as of Monday afternoon, following the Golden Globes. Courtney Radsch, advocacy director at CPJ, and her colleagues were surprised and excited that Streep’s speech inspired so many to give, bringing awareness to the organization, the media’s relationship with Donald Trump, and challenges facing journalists abroad. Former Obama administration staffers Jon Favreau, Jon Lovett, and Tommy Vietor have a new podcast Pod Save America, under the banner of their new company, Crooked Media. The former Keepin’ It 1600 guys decided it was necessary to become active in preserving the things they fought for during the Obama presidency, reports The Daily Beast. Running a media company full-time was never a goal, but Trump winning was “a wake-up call,” says Favreau. “We wish we had done a little more advocacy, encouraged more participation and activism and used it as a platform to lift up all of the young progressives’ voices that are out there.” Crooked Media will eventually grow to include more podcasts, streaming video, and written content. In an unsurprising move, Instagram says it will begin to place full-screen ads within its 5-month-old Stories feature, according to The Next Web. The ad feature will start off as a test, featuring ads from Netflix, Nike, and AirBnB before growing to include ads from more businesses. Instagram Stories is not expected to be disrupted by the ad feature. Photo ads are said to last only five seconds, and videos 15 seconds, with users always having the option to skip either with a swipe.